Johanna Hessling (left), an adjudicator for Guinness World Records, joins Verlo employees on scissors lifts, to measure the stack of mattress and verify that the stack was able to stand unassisted for the required amount of time. 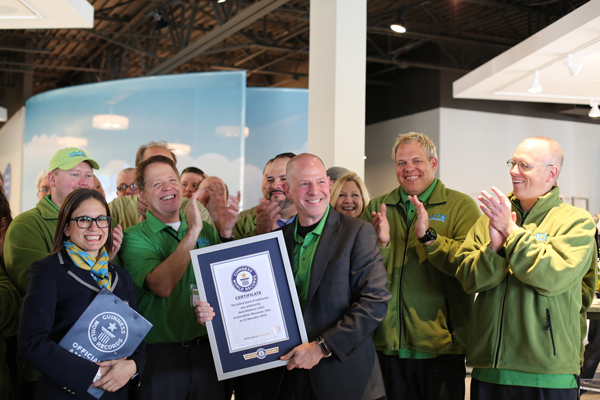 Last Saturday, Nov. 15th, was literally a record-breaking day for Verlo Mattress as we marked the grand opening of our new flagship store in Greenfield, WI, by successfully breaking the Guinness World Record for the Tallest Stack of Mattresses. Crowds braved a cold winter morning to witness the new record-setting height of 16 feet, 5.25 inches, and to partake in the opening ceremonies that included a balloon launch, prizes, food and store tours. 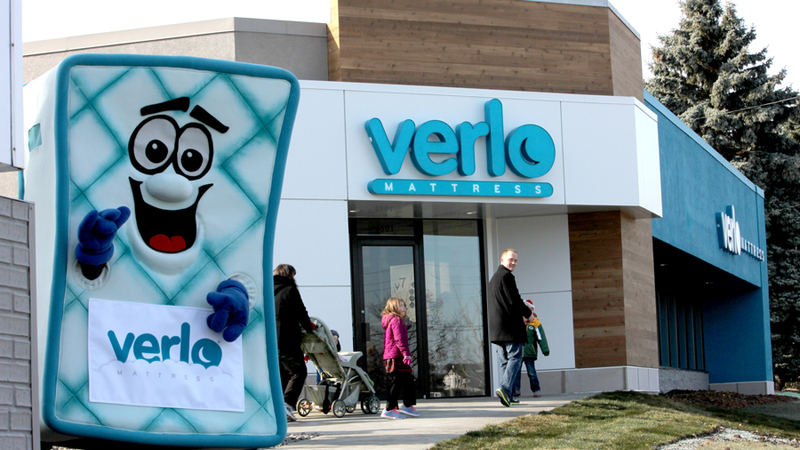 "We're truly taking mattress shopping to new heights and what better way to show it than by beating a world record," said Verlo Mattress CEO Chris Nolte. Enjoy looking at some of the highlights of what was a very exciting day. 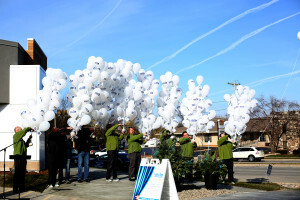 Key members of the Verlo management team release balloons as part of the grand opening ceremony for the remodeled and rebranded Verlo store in Greenfield, WI. Mattresses were carefully measured by Guinness Official Johanna Hessling. The record-breaking measurement was 16 feet, 5.25 inches. Johanna Hessling, the adjudicator for Guinness World Records, is lowered to the ground after measuring the stack of mattresses. It's official! The Guinness official presents the Verlo team with certification of being world record holders. The community and media turned out to witness the grand opening of our flagship new store, which is unlike any other mattress store in the country. 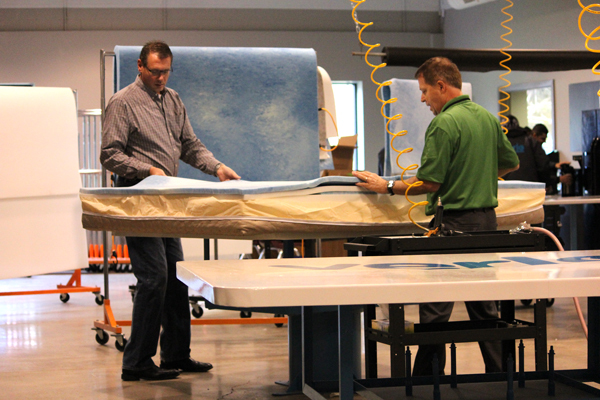 Verlo employee Tom Metz (right) helps Michael Neitzke , Mayor of Greenfield, to make a mattress.